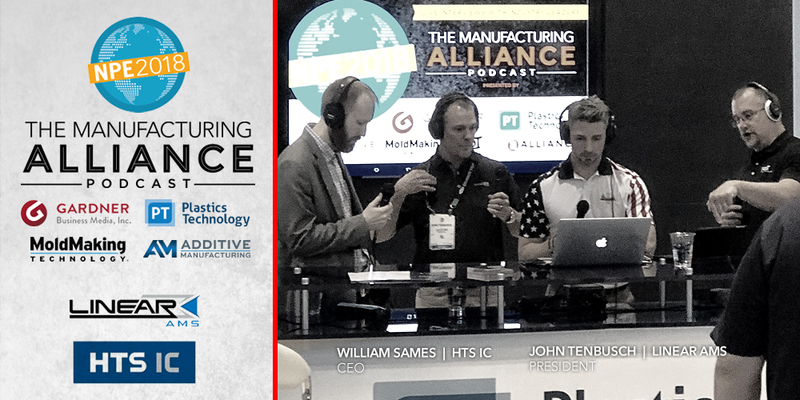 In this episode live from NPE2018 we sit with William Sames, CEO, HTS IC / John Tenbusch, CEO, LinearAMS and explored a brief description of Additive Manufacturing and the different processes. The challenges and benefits of the technology and why people should look to it in specific applications. What pitfalls and things to avoid. Conformal cooling and how Additive Manufacturing can help. What the future holds for AM as a process. Success stories that could only be achieved using Additive Manufacturing.